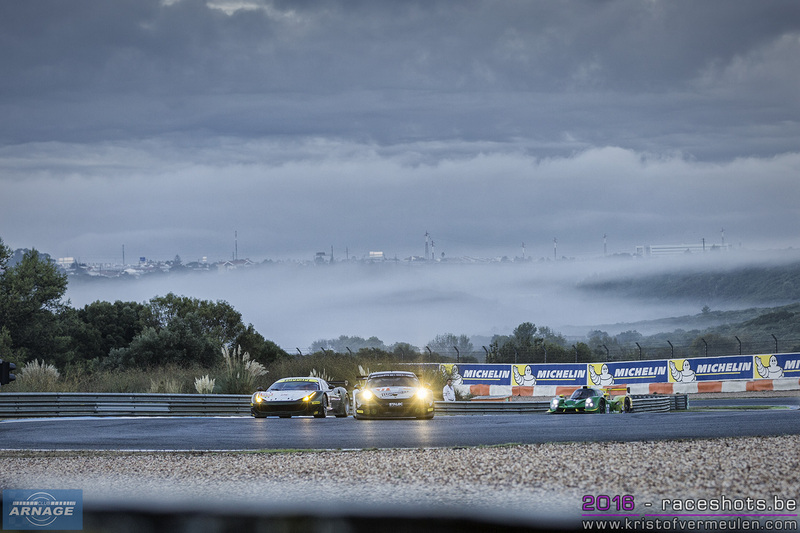 The final race of the 2016 ELMS championship was a nailbiting 4 hours spectacle. 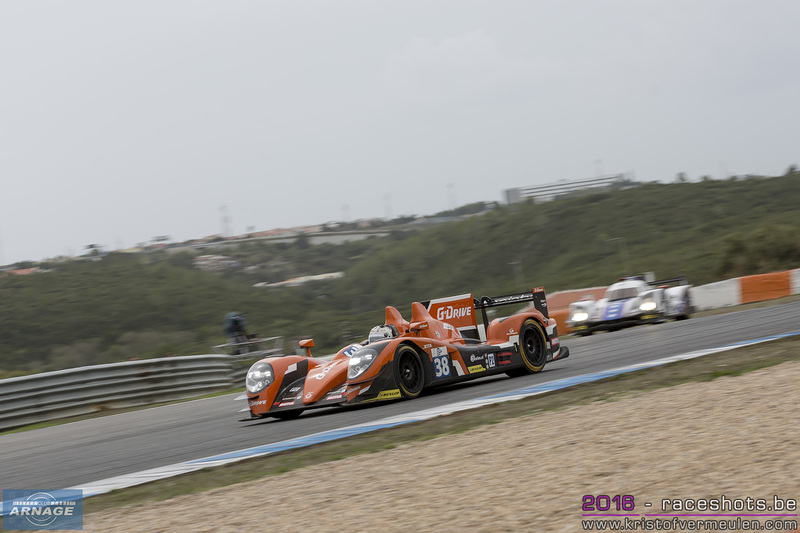 The 4 hours of Estoril saw drama for the championship leaders in LMP2 and GTE, with G-Drive Racing & Beachdean Aston Martin taking the title and invites for next years Le Mans 24 Hours. Giedo van der Garde had a blistering start, from the second row to the lead into turn 1. 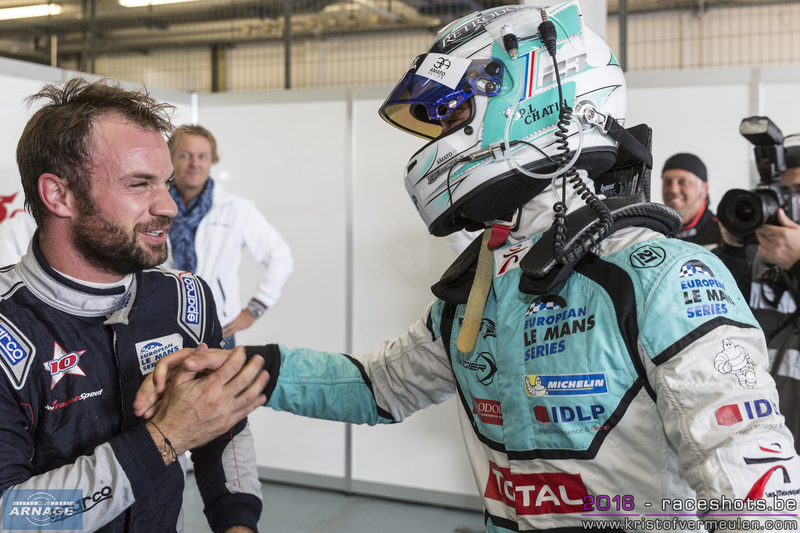 Lapierre managed to get first position back when van der Garde ran wide in the first corner. Both leaders were off for an hour of close racing. Lapierre was able to get away from the Dutchman a few times, but van der Garde always managed to fight himself back into the slipstream of the #21 Oreca. 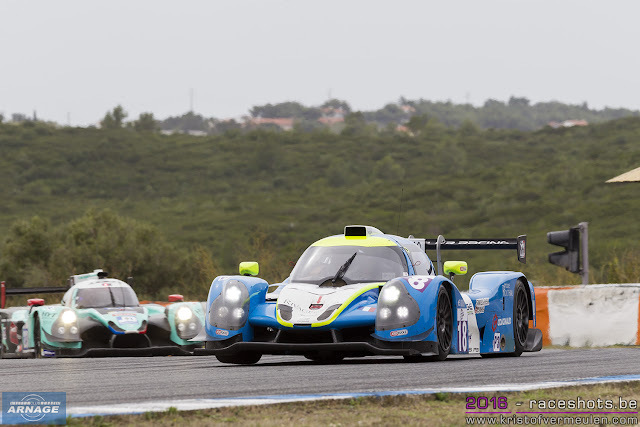 Behind both leaders, Nic Jonsson in the #40 Krohn Ligier, Vitaly Petrov in the #32 SMP Raicng BR01 and Pierre Thiriet in the #46 Thiriet Oreca were in a tight battle for third position, Fabien Barthez losing contact with the top 3 after a spin. Just before the first round of pitstops, van der Garde passed Lapierre. 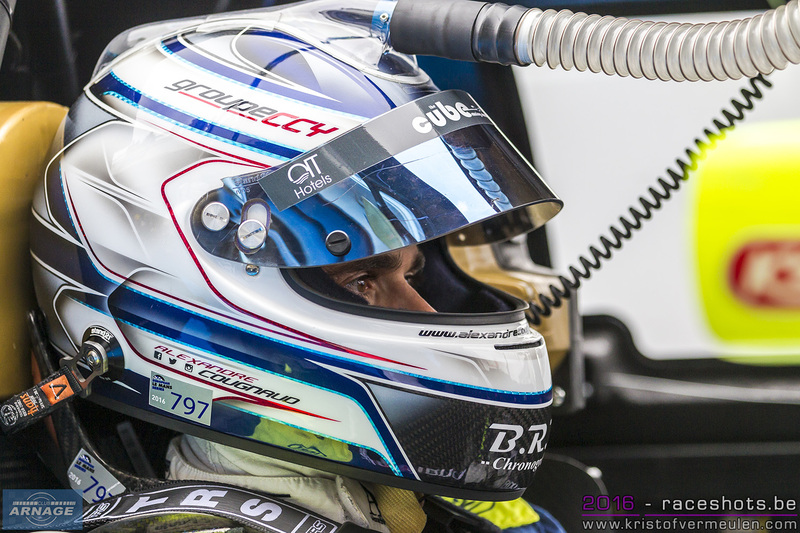 Simon Dolan took over the G-Drive Gibson from van der Garde. Dragonspeed only came in for fuel, and managed to jump over the #38 again into the lead of the race. When Hedman went across the graveltrap in T3, Dolan took back the lead of the race and started pulling away from the #21 which would eventually drop to fifth position. 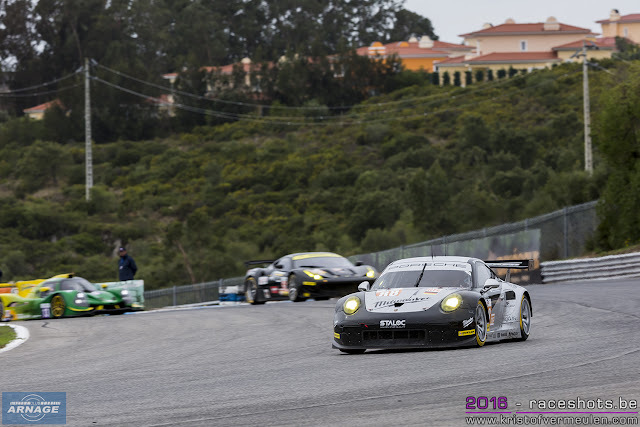 The #46 now was now lying fourth, right on schedule for the championship, 'till disaster struck when Thiriet came in for their second scheduled stop. Ryo Hurakawa took over from Pierre Thiriet but the Oreca somehow refused to start up again. The car was pushed back into the box, losing precious time and falling down the order. 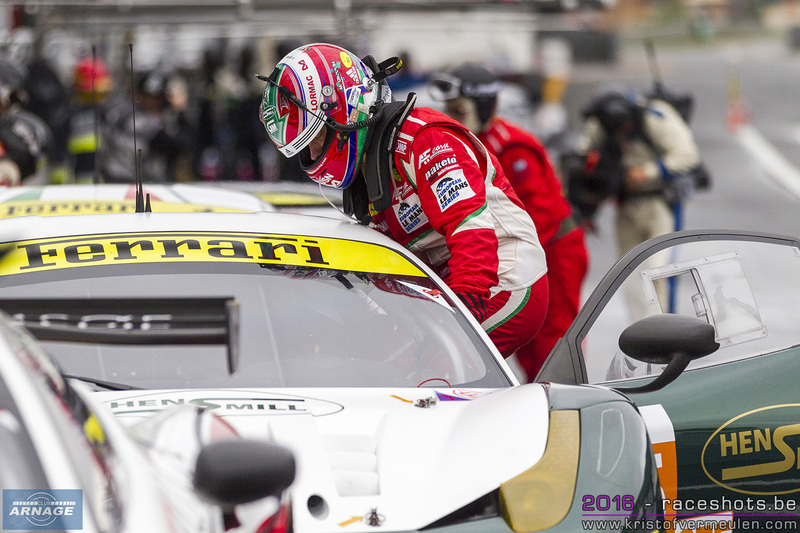 When the safety car came out after the unfortunate collision between the #2 and #66 car, Dolan's lead melted away and he had to do it all over again. He nailed it at the restart and quickly built up a gap again to the #21 Dragonspeed. Behind the leaders Julien Canal had to retire in the #41 Greaves Motorsport Ligier. 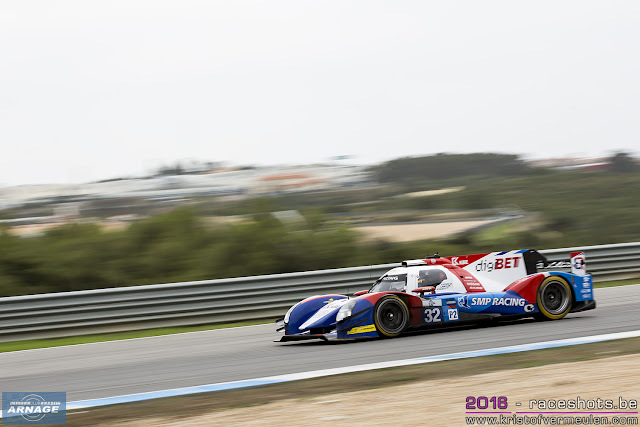 As the third round of pitstops approached, Dolan had a 50 second advantage over the #32 SMP Racing BR01 which has passed the #40 Krohn Ligier. The #21 DragonSpeed now was down to fourth position over a minute behond Dolan but closing in on Coletti and Pla. The #33 Eurasia now was back up into fifth place, but already almost 2 laps behind the leaders. 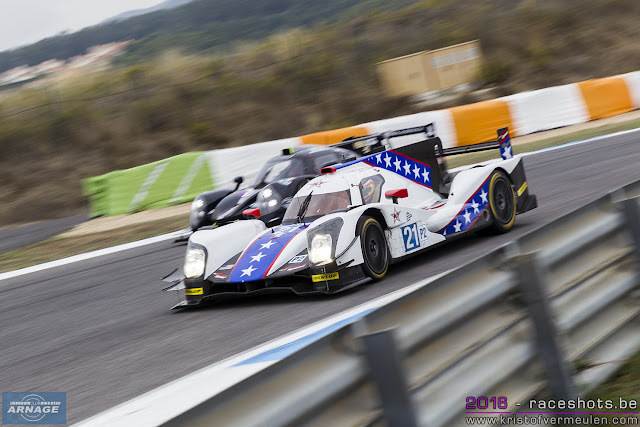 Thiriet by Oreca saw their chances on the 2016 title melting away as they finally got Hirakawa back out in track again, only to be pulled back into the garage. 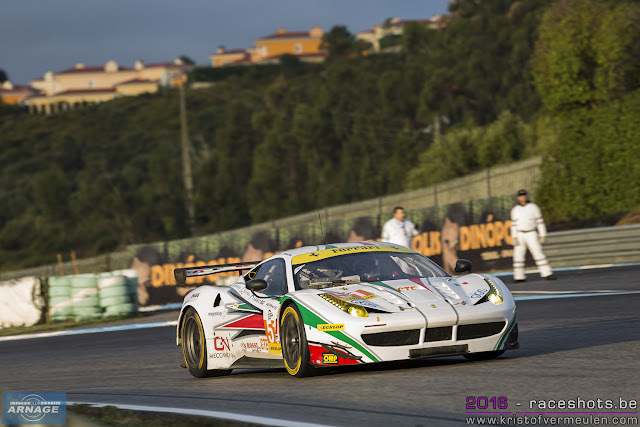 In total the car spent more than 40 minutes in the pitlane and finished 28th overall, 24 laps down. 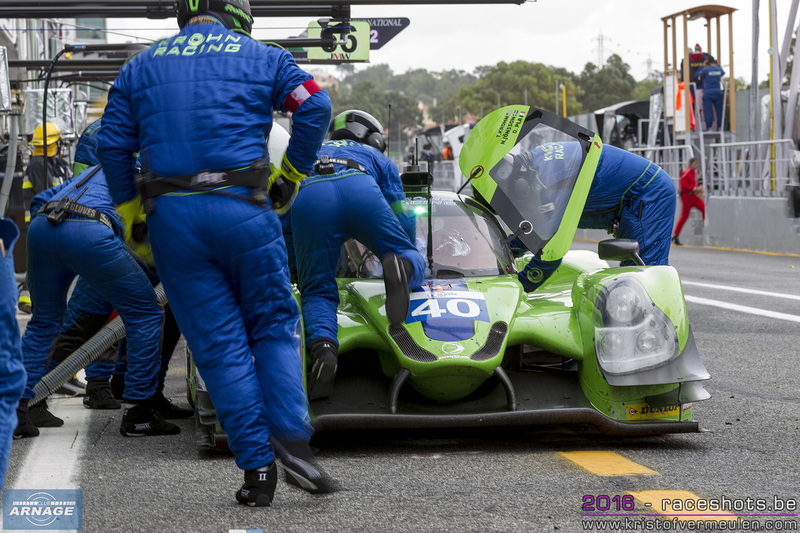 Olivier Pla was the first to come in for the final round of pitstops in his #40 Krohn Ligier from second place. Minutes later harry Tincknell in the Mighty 38 came in for a fuel stop only, maintaining his lead over the competition. Stefano Coletti who got up into second place in the #32 SMP Racing BR01 was the third driver to come in for fuel. 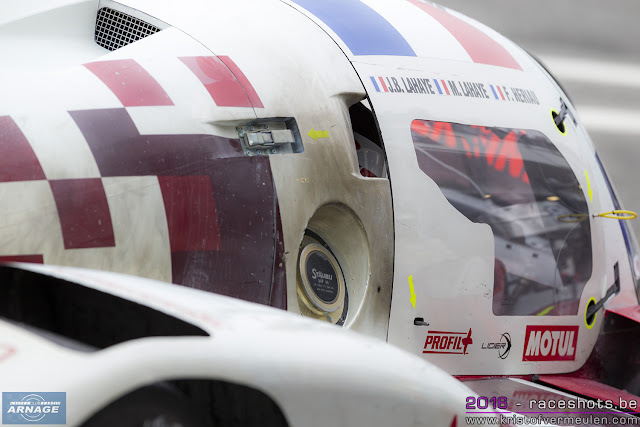 Thanks to a very swift stop he managed to maintain his place, but now had Oliver Pla in the Krohn Racing and Nicolas Lapierre in the DragonSpeed all over him. Tincknell meanwhile had a comfortable gap of over a minute, now just having to take the car home for the win and the championship. Lapierre was the only driver to take new tires at his final stop, giving him a massive advantage over both cars in front of him. It didn't take long for the fast Frenchman to take third place from Pla, minutes later leaving Coletti behind. Pla and Coletti got into a ferocious fight for second that came to an end with about 5 minutes to go when Pla had a spin losing him more than 5 seconds. Tincknell drove faultless, bringing the car home with a 51 second advantage over Lapierre and 1.20 minutes over Coletti. 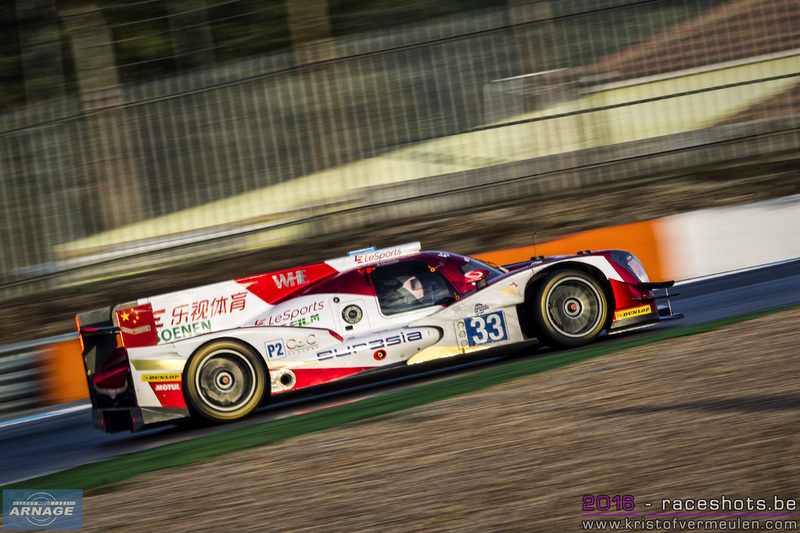 Fourth place was for Pla, followed by the #33 Eurasia of after recovering from problems early in the race. Dark clouds gathered over the track in the final stages of the race, but except from a few drops, the track stayed dry. Minutes after the cars drove over the finish line though, the rain started to poor down on the track. What a way to end the career of one of the most succesful prototypes we've ever seen in LMP2. 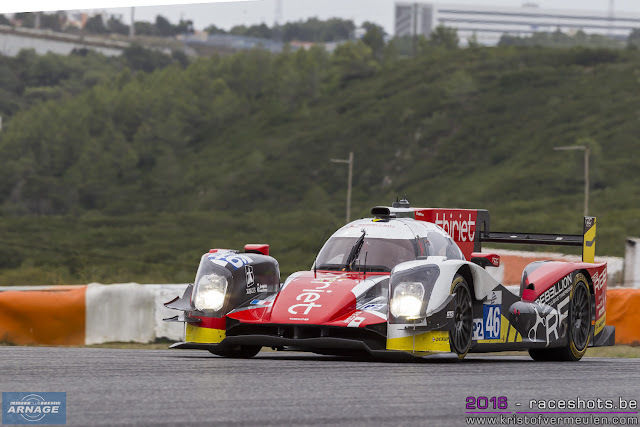 Over the course of 5 seasons the Mighty 38 had 23 race starts in the ELMS, drove 5 WEC races at Spa, 5 times in the 24 Hours of Le Mans and scored 8 wins & won 1 championship. 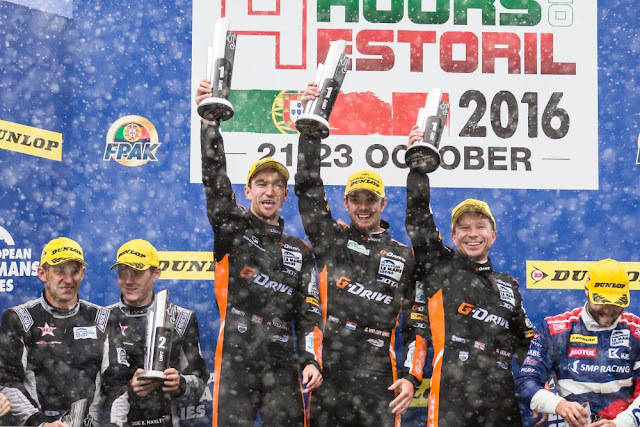 Next to the ELMS title this season, the win at Le Mans in the LMP2 class in 2014 one of the highlights in its career. A great result for the Jota Sport/G-Drive team too, after just missing out the ELMS title in the past seasons. Chaos at the back of the LMP3 grid at the start with cars spinning (one even managed to spin in the warm-up lap) & going on and off the track. Alex Brundle and Wayne Boyd in the United Autosports Ligiers had a perfect start and quickly drove away from the other LMP3 cars. 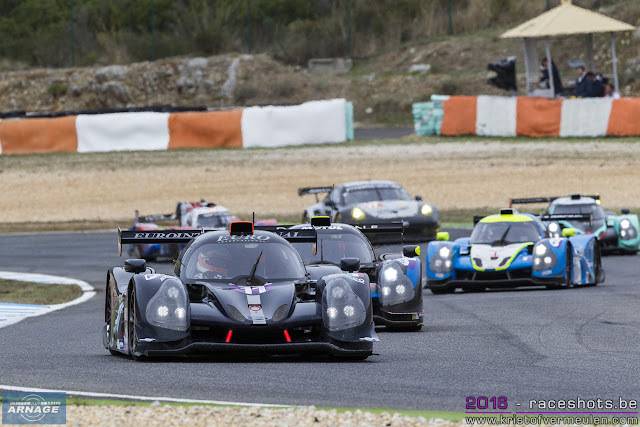 They even managed to place themselves inbetween the back runners in LMP3, and impressively in the overall top 10. 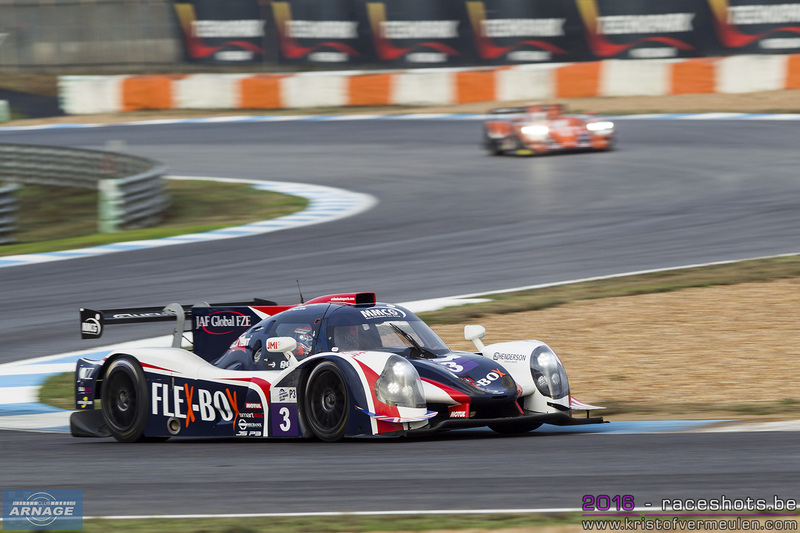 Enzo Guibbert in the #9 Graff Ligier got settled into third place behind Brundle & Boyd. 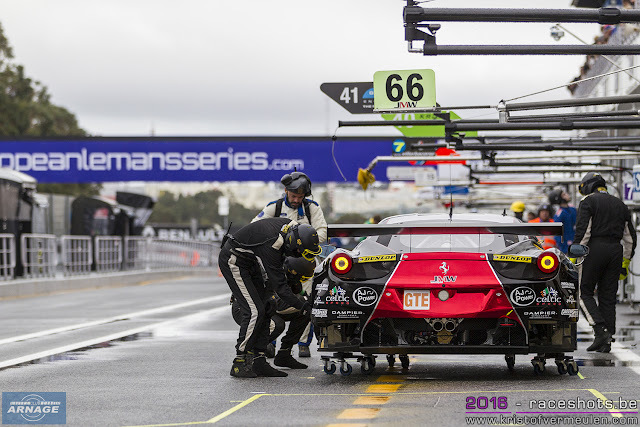 The first series of pitstops saw both leading cars taking their long pitstop and first driver change. 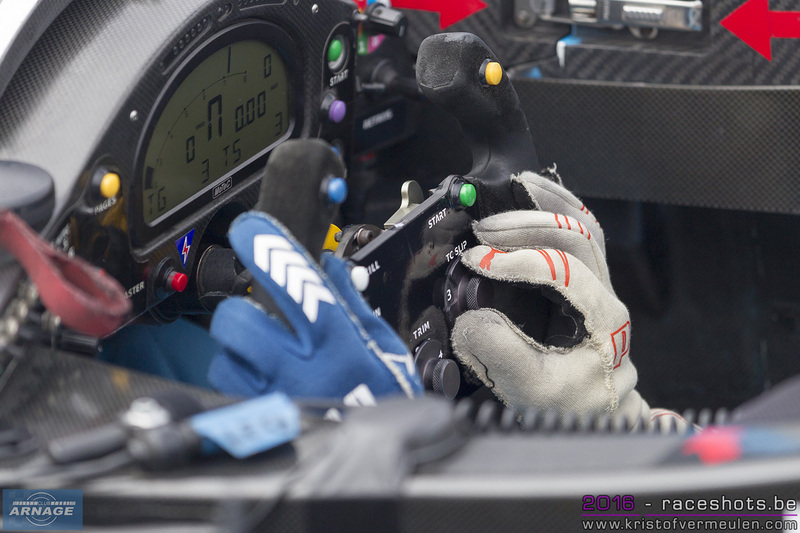 Mike Guash took over the #2 Ligier, Mark Patterson got behind the wheel of the #3. Not long after taking over the #2, Mike Guash got into an incident with the #8 Race Performance Ligier, losing him precious time. An incident in the pitlane occured with the #17 Ulitmate catching fire during refueling, but able to proceed in the race. With different pitstop strategies, three new cars emerged at the top of the LMP3 ranking. 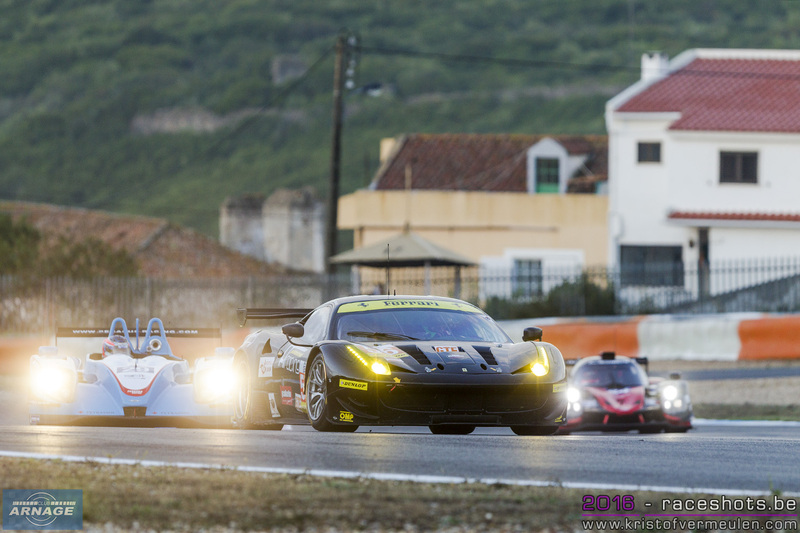 Now the #11 Eurointernational was leading the #15 of RLR Motorsport and the #9 Graff Racing. 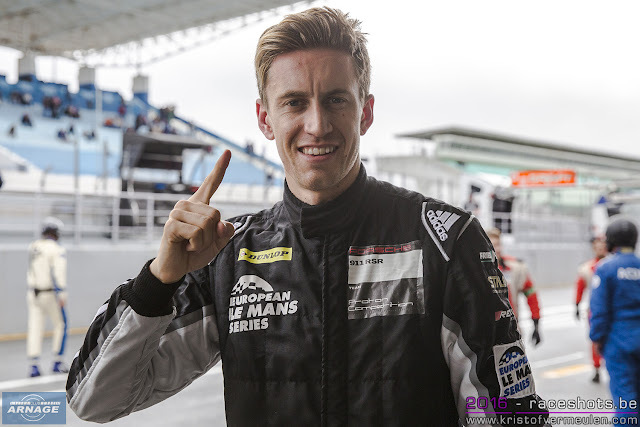 Thomas Laurent in the M. Racing-Yvan Müller Racing was now the fastest car on track. Just before the second round of pitstops, about 2 hours into the race, he was up to second place. Mike Guash got caught in another incident when he got off the track at the exit of turn 2, spun and went hard into the side of the #66 JMW Ferrari which going slow off the racing line. The safety car came out, triggering the start of the second round of pitstops. 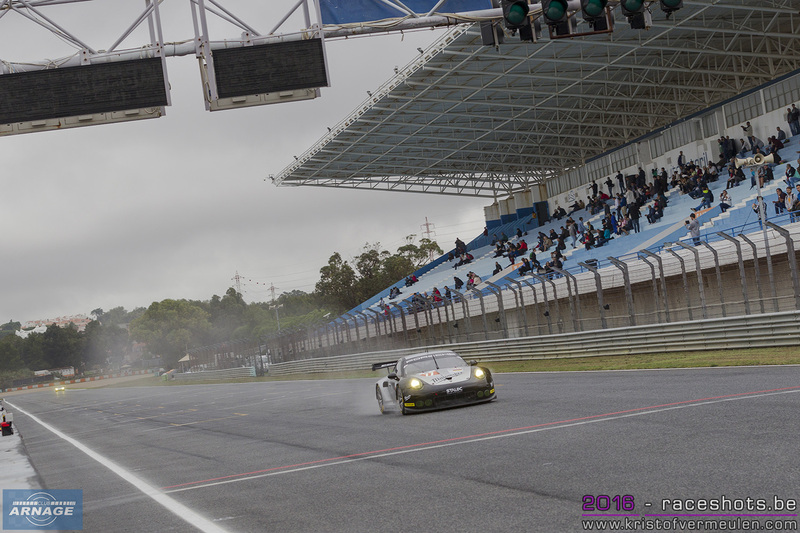 When the safety car came back in, the #18 M. Racing-YMR now had the lead, the #3 United Autosport second and the #11 Eurointernational in third. Simon Gachet now was in the #16 Panis Barthez Competition Ligier, going into third position when the #11 got caught up into traffic and fell down the order. Laurent had a spin when he got caught by oil on the track but managed to keep on to his lead. Behind him Gachet got into second, but had to retire when technical problems emerged on the Ligier. 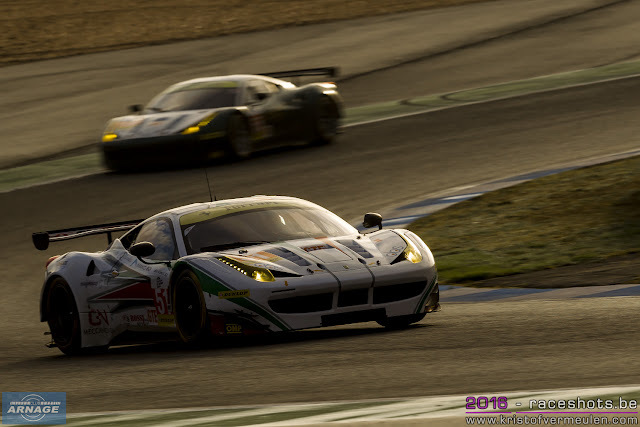 The #18 drove a strong race and even got into sixth overall with an hour to go, eventually finishing in seventh place. The final hour of the race saw a battle between the #9 Graff Racing and the #3 United Autosports for second place. Bell ultimately won the plot, finishing one lap down to the #18. 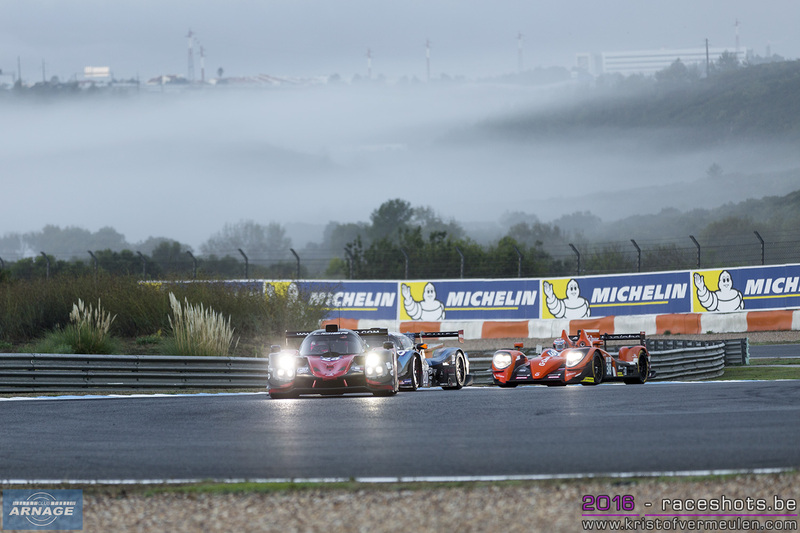 During most of the race, the LMP3 class was a festival of cars spinning, going off the track or through the gravel traps. 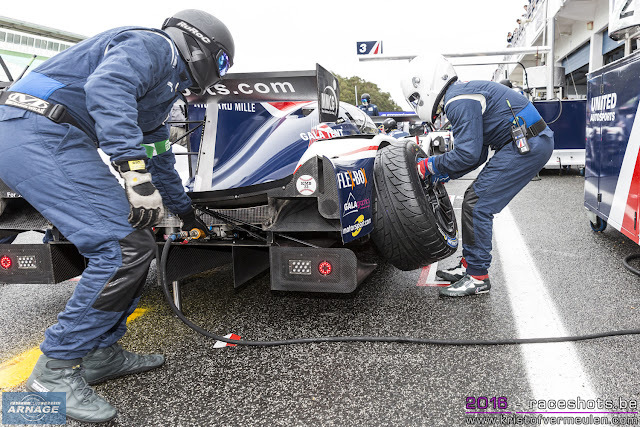 Not exactly showing the driving standards you might expect in a championship like the ELMS. 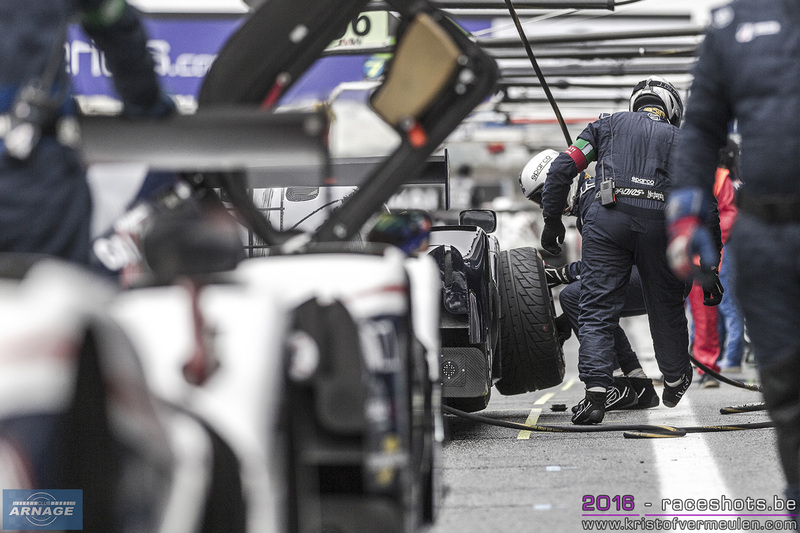 With the addition of LMP3 to the Michelin Le Mans Cup, the ACO has a tool in hand to select team, cars and drivers which will be allowed to race in either the ELMS or the Le Mans Cup. New teams and drivers with less or none experience in prototype and/or endurance racing will be able to have a “learning” year in the Le Mans Cup before getting into the highly competitive European Le Mans Series. In GTE Christian Ried didn't have the best start behind the LMP3 chaos. Rui Aguas in the #51 AF Corse Ferrari Alexander Talkanitsa Jr in the #56 AT Racing storming past Ried when the green flag fell. Talkanitsa however suffered from a puncture early in the race, and dropped down the order. When Ried had tyre damage after a collision with an LMP3 and Aguas made contact with the #38 Gibson of van der Garde, both championship contenders came to the front of the field. 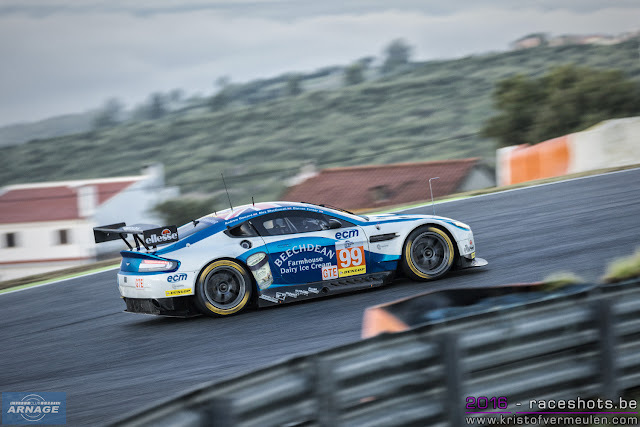 Alex Mc Dowel now lead in the #99 Aston Martin, closely followed by Rory Butcher in the #66 JMW Ferrari. By the end of the first hour, Johnny Laursen parked his #60 Formula Racing Ferrari at turn 7, electrical problems forcing the Danish team to retire from the race. 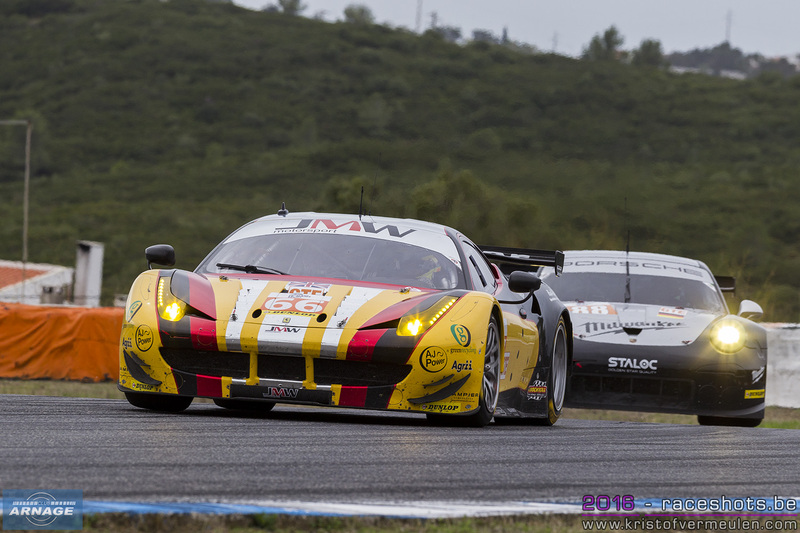 The #66 JMW Ferrari was the first car into the pits but lost a lap to the leading cars. Disaster struck for the championship leaders when seeing smoke at the back of the Ferrari. Butcher managed to keep the car running and back into the pits where the car was rolled in with a gearbox issue. After long repairs, Robert Smith brought the car back out. Smith almost immediately got intro trouble again, going round at low speed off the racing line when Mike Guash spinned in his #2 United Autosports Ligier and hit the Ferrari in the flank. Smith somehow managed to get the car back into the pitlane, only to retire after the mechanics tried everything possible to get the car back on track. With the #66 out of contention, the #99 Beachdean Aston Martin had just one mission for the remainder of the race: win it. Turner was now in the lead, but the safety car brought the whole field back together. 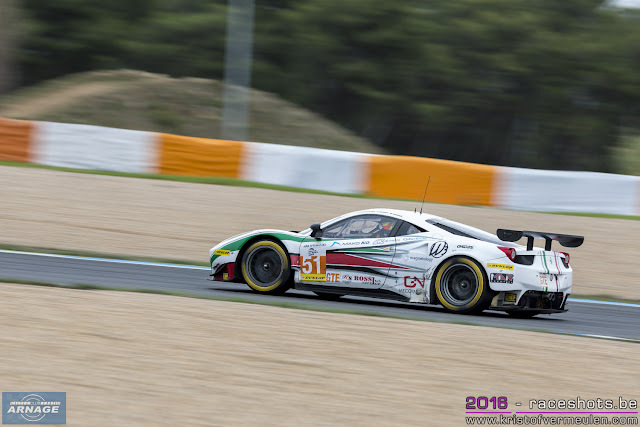 Rui Aguas in the #51 Ferrari was right on his tale, with the #56 AT Racing Ferrari behind him, despite an incident in the pitlane with spilled fuel. 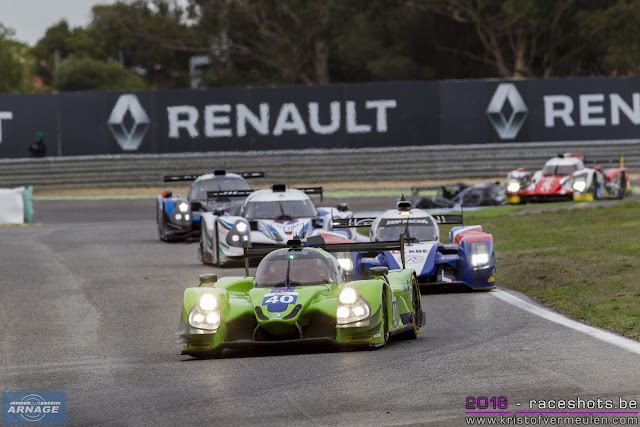 Aguas lost contact with Turner when he lost valuable time after a spin of an LMP3 just in front of him. Darren Turner now was flying around the track, building up a comfortable gap over the #56 AT Racing Ferrari and both AF Corse's #51 and #55. 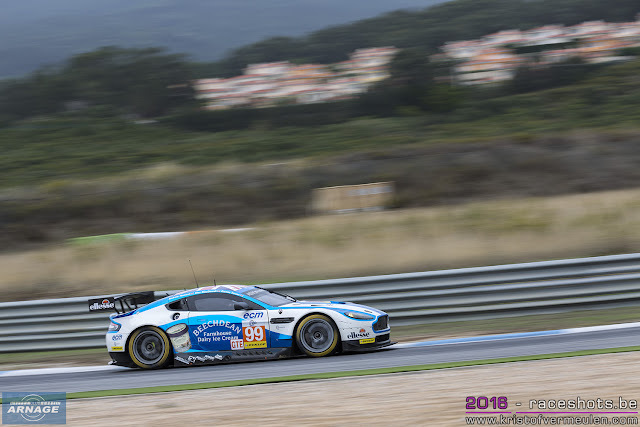 Alex MacDowell took over the Aston Martin Vantage at the final round of pitstops, with a comfortable lead around 30 seconds over the #56 who still had both AF Corse Ferrari's behind him. 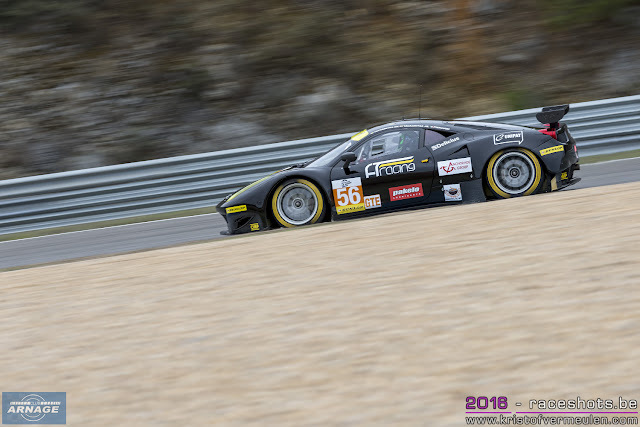 In the final hour of the race MacDowell drove one of his best stints ever, bringing the car home with a 1 lap advantage over the #56 AT Racing Ferrari of Alessandro Pier Guidi and the #55 AF Corse Ferrari. The #51 Ferrari excluded itself from the batlle for third when ... got a drive-through penalty late in the race for causing a collision with the #8 LMP3 car. 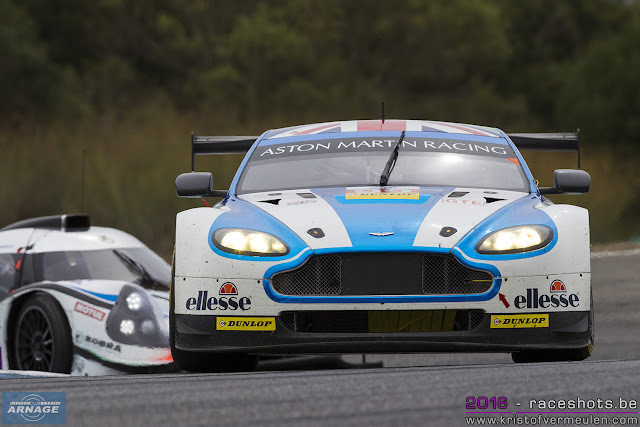 The Aston crew did what they had to do to secure the championship by winning the race and getting their entry for Le Mans next year. 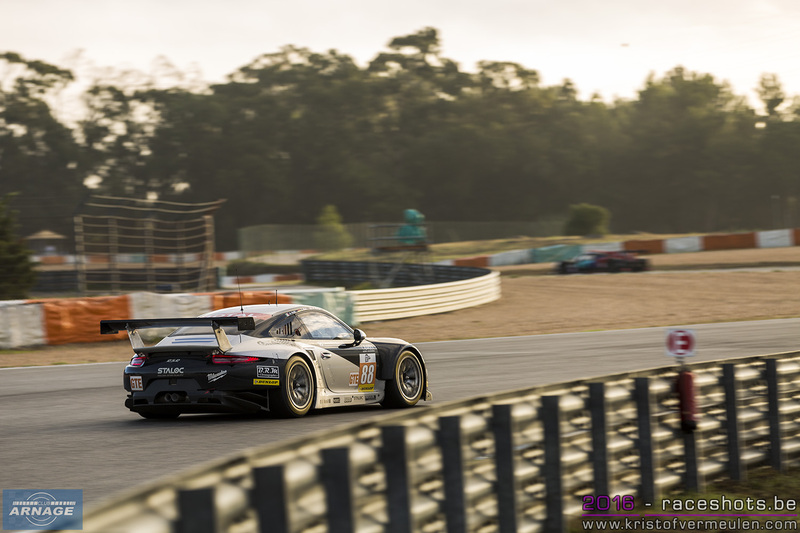 A very harsh outcome for the JMW team which dominated the whole season in GTE. At the end of the year, their lost win at Silverstone due to an illegal front splitter ultimately did cost them the championship. 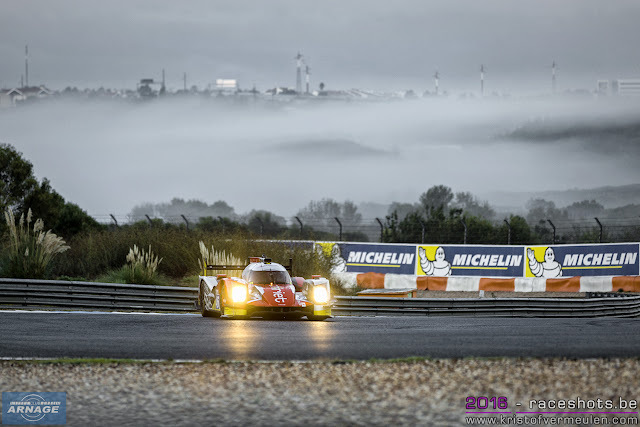 “It was with emotion that we all learned this morning about Audi’s decision to withdraw from endurance racing. 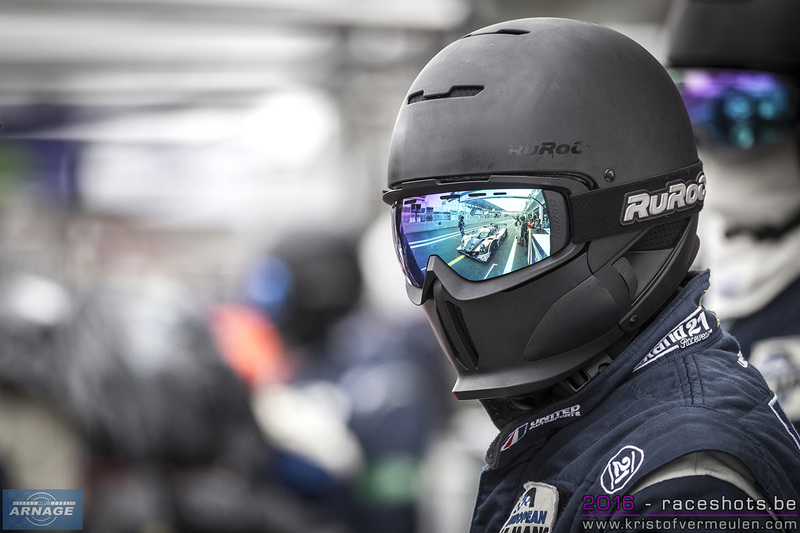 Although prepared for this, we regret the departure of a major figure in endurance racing for a different adventure. Present at Le Mans since 1999, the German firm has written some of the finest and strongest pages in the history books for the 24 Hours of Le Mans and, more recently, the WEC. More than a competitor, the marque with the four rings has been a real contributor in recent years to the tremendous growth of endurance racing across the world. 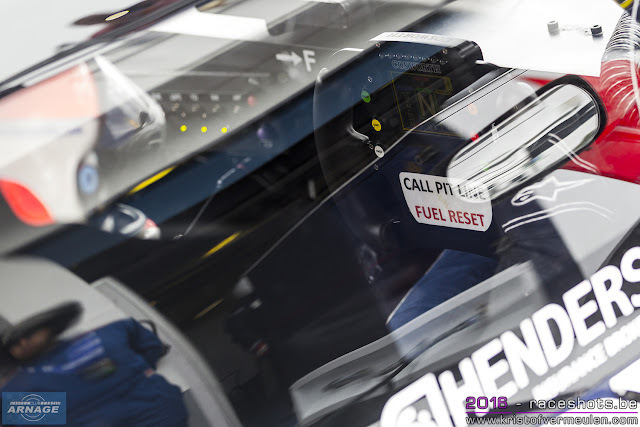 “To reduce costs for manufacturers is a major focus for the ACO, in partnership with the FIA. Furthermore, these two organisations have clearly set the course for the coming years: stay at the forefront of innovation while offering the best possible platform for new technologies in preparation for the cars of tomorrow. “Hybrid technology and electric motors are already part of our daily lives in endurance racing. The changes to the technical regulations towards hydrogen-electric power responds straight away to the energy requirements of this new era. “We salute the work carried out by the Audi Sport and Team Joest teams who have done a remarkable job, and a particular thought goes to my friend Wolfgang Ullrich. One door closes and, at the same time, another one opens with the already-announced arrival of other manufacturers. “We understand this decision, although obviously we regret the departure of a major player in the WEC. 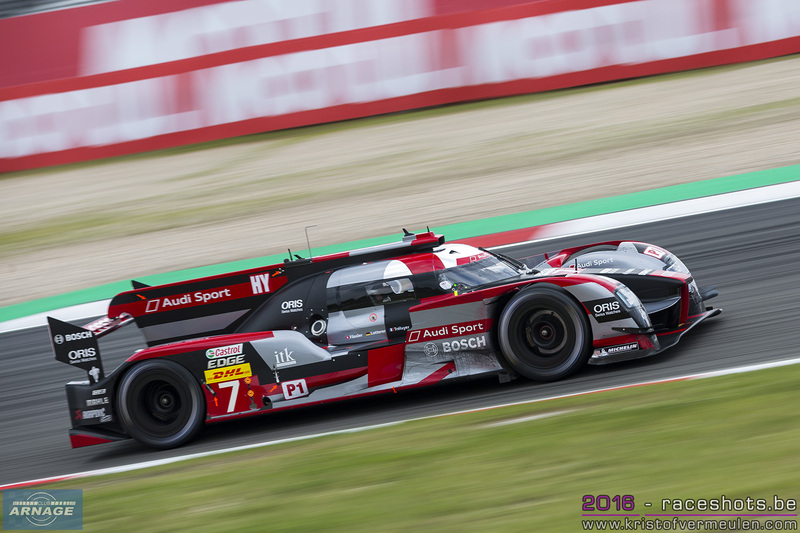 Audi has been involved in endurance racing for 15 years, and more particularly in the first five seasons of the FIA World Endurance Championship. “Today we spare a thought first for everyone at Audi Sport and at Team Joest. Drivers, engineers, mechanics and team members for whom this news is painful. 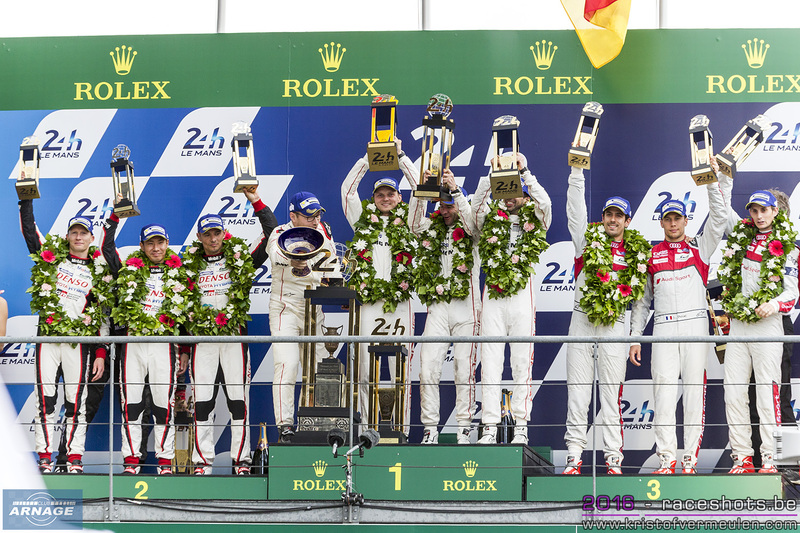 We offer them our admiration and gratitude for their extraordinary sporting performances in the WEC since 2012. 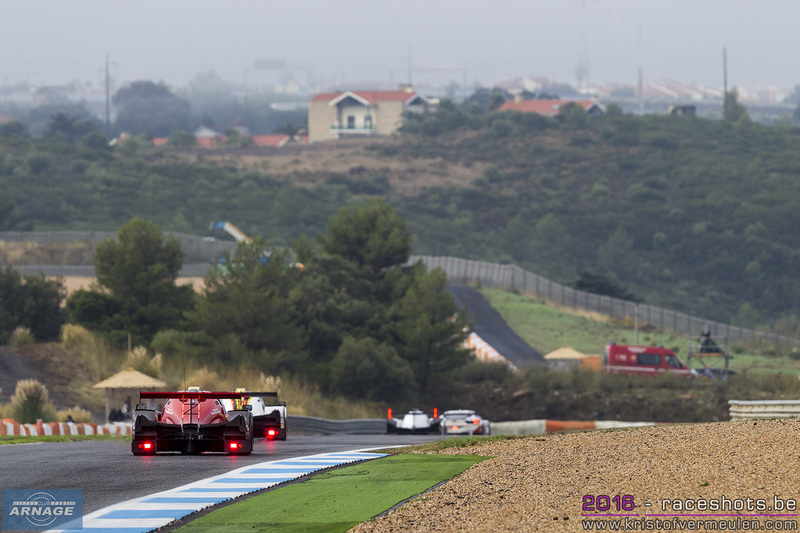 “The WEC is made up of a grid of 32 cars, 20 teams, with four categories and six manufacturers entered. In a week’s time, in Shanghai, Porsche and Toyota will be battling on track for the 2016 LMP1 world title, as Ferrari and Aston Martin will be for the GTE title. After a lot of speculation since the FIA WEC race at Fuji, Audi now officially has confirmed the end of its WEC commitment by the end of this season. 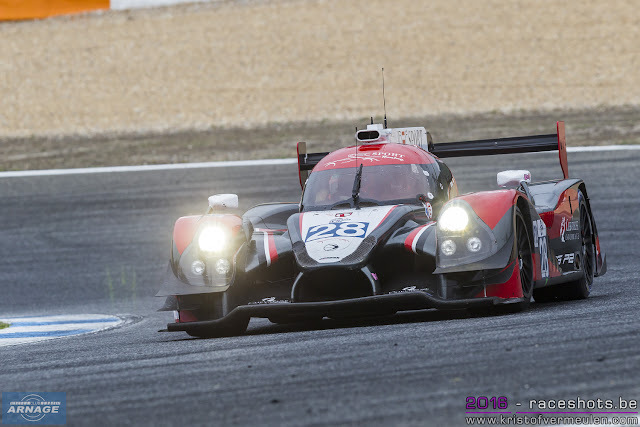 The 6 Hours of Bahrain next month will be the final race of the R18 Hybrid. Rumours were going round after an article in German magazine Auto Motor und Sport, quoting the possible end of Audi's LMP1 programme, and sadly they have become reality. Speaking to 300 employees of the motorsport department this morning, Chairman of the Board of Management Rupert Stadler put this strategic decision in the context of the current burdens on the brand, pointing out that it was important to focus on the things that would keep Audi competitive in the years ahead. That is why the Board of Management had decided to terminate Audi’s commitment in endurance racing. In the future, Audi will be using the know-how and skills of the motorsport experts from Neuburg and Neckarsulm partially in motorsport and partially in production development. “We’re going to contest the race for the future on electric power,” says Stadler. “As our production cars are becoming increasingly electric, our motorsport cars, as Audi’s technological spearheads, have to even more so.” The first all-electric racing series perfectly matches the strategy of offering fully battery-electric models year by year starting in 2018, Audi currently being in the greatest transformation stage in the company’s history. The commitment in FIA Formula E will already commence in 2017. It is regarded as the racing series with the greatest potential for the future. That is why Audi has intensified the existing partnership with Team ABT Schaeffler Audi Sport in the current 2016/2017 season. On the road toward a full factory commitment, the manufacturer is now actively joining the technical development. The commitment in the DTM, where Audi will be competing with the successor of the Audi RS 5 DTM in 2017, will remain untouched. In mid-October, the premium brand won the manufacturers’ and teams’ classifications. In 2013, Mike Rockenfeller most recently brought the title of DTM Champion home for the four rings. 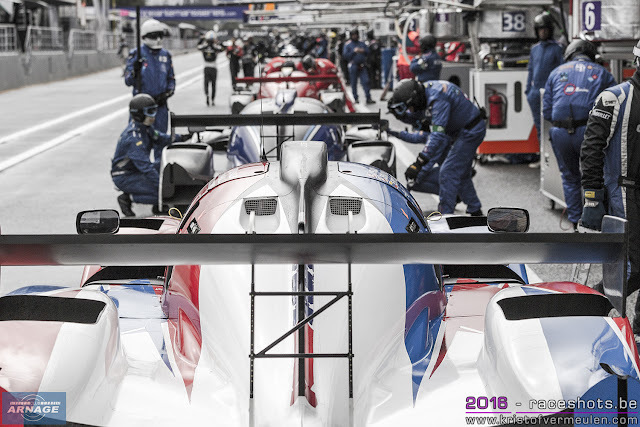 The departure from the FIA World Endurance Championship (WEC) marks the end of a successful era. For 18 years, the brand was active in Le Mans prototype racing. During this period, it scored 13 victories in the 24 Hours of Le Mans and set numerous technical milestones. At Le Mans, Audi clinched the first victory of a TFSI engine (2001), the first success of a race car with a TDI engine (2006), plus the first triumph of a sports car with a hybrid powertrain (2012). 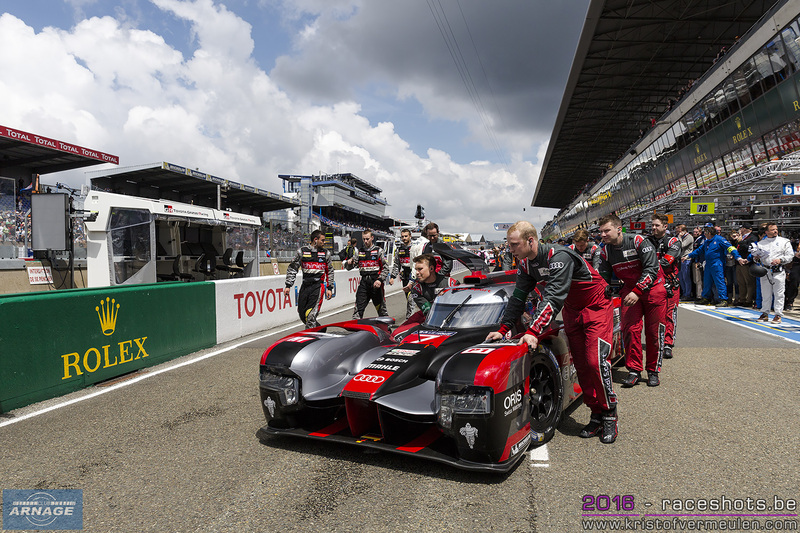 In the brand’s 185 races contested to date, Audi’s Le Mans prototypes have achieved 106 victories, 80 pole positions and 94 fastest race laps. 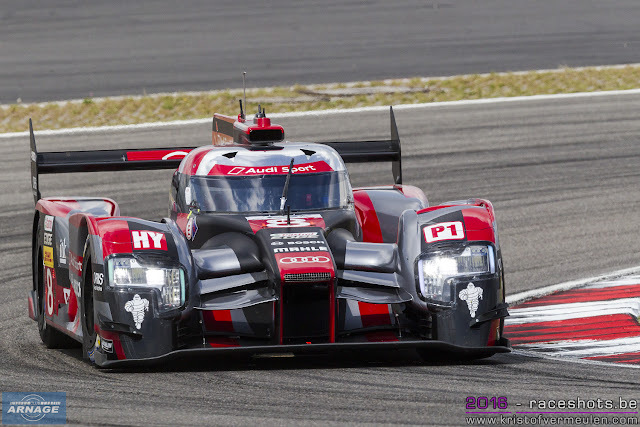 On two occasions, Audi won the FIA World Endurance Championship (WEC) with the Audi R18 e-tron quattro race car. 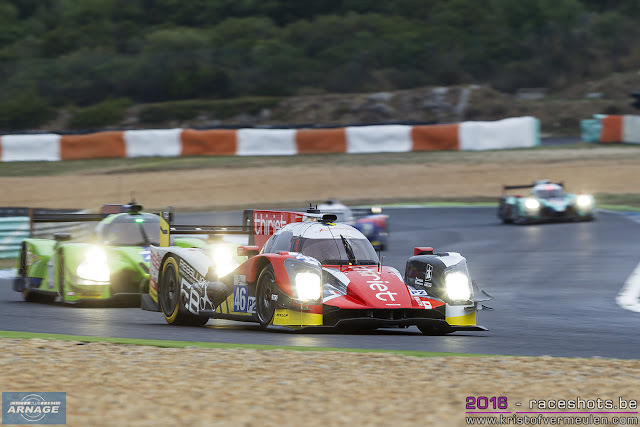 In addition, from 2000 to 2008, Audi, nine times in succession, secured the title in the American Le Mans Series (ALMS), the world’s most important racing series for Le Mans prototypes at the time. “After 18 years in prototype racing that were exceptionally successful for Audi, it’s obviously extremely hard to leave,” says Head of Audi Motorsport Dr. Wolfgang Ullrich. 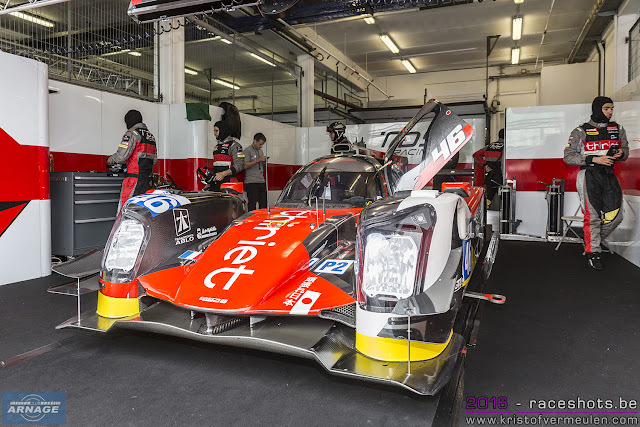 “Audi Sport Team Joest shaped the WEC during this period like no other team. I would like to express my thanks to our squad, to Reinhold Joest and his team, to the drivers, partners and sponsors for this extremely successful cooperation. It’s been a great time!” Due to the LMP commitment, Audi has been demonstrating Vorsprung durch Technik and learning a lot for use in production. 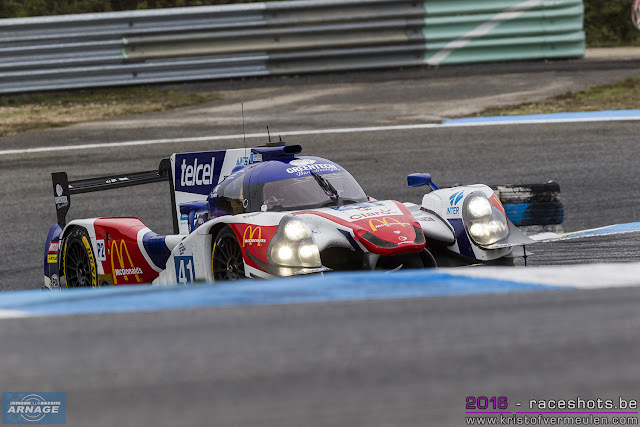 The FIA WEC now only has 2 constructors left in the LMP1-H class next season with Toyota and Porsche. 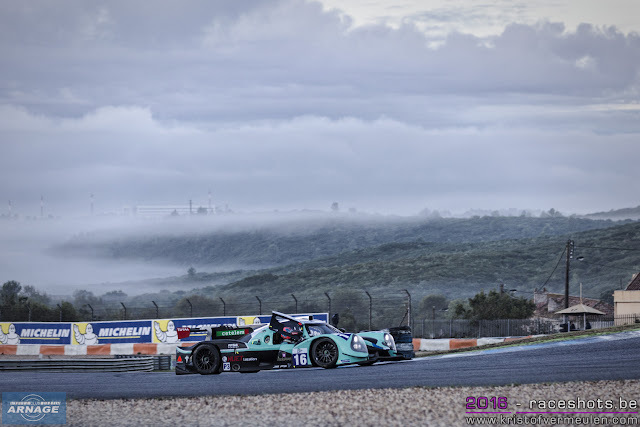 Let's hope more constructor(s) will show their intrest and be able to step into endurance racing in the upcoming years. 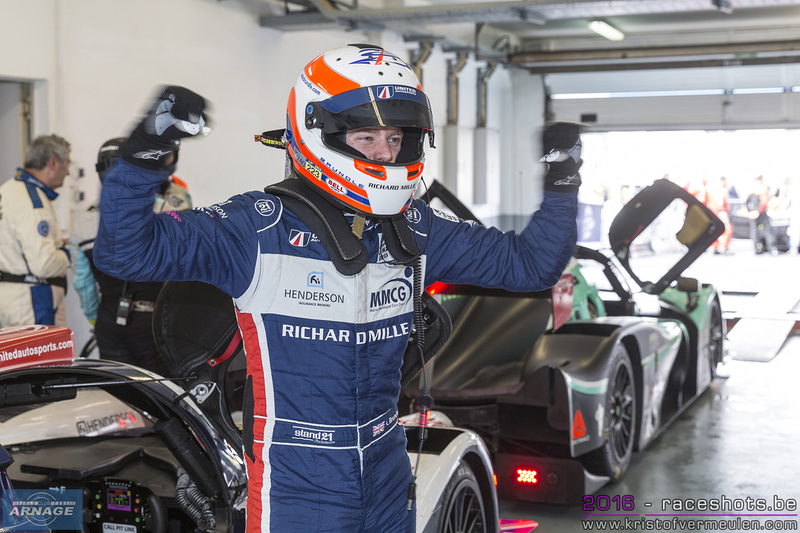 The ACO announced this afternoon that the Michelin Le Mans GT3 Cup will open its doors for LMP3 cars in 2017. There will be two different classifications, separate podiums and titles on offer, and full details will be published in the coming weeks. 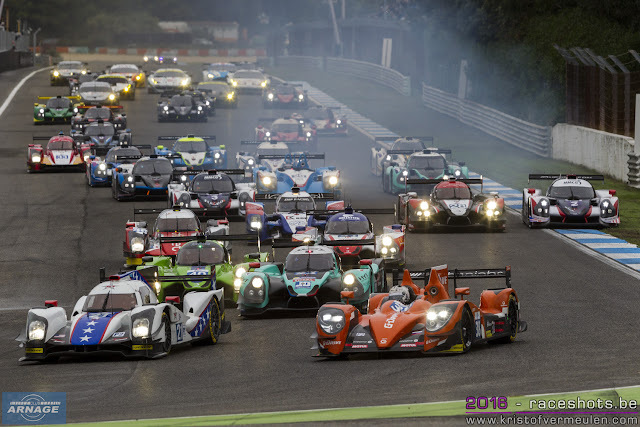 For GT3 and LMP3 entrants this move is a logical step, and provides access towards the increasingly higher levels of competition in LMGTE and LMP2. The Road To Le Mans model, which ran with great success this year, will now be transformed into a 2-hour endurance race, which will count for the entire Michelin Le Mans Cup season. The already published 2017 calendar will feature five rounds alongside the European Le Mans Series at Monza, Red Bull Ring, Le Castellet, Spa-Francorchamps and Portimão. In addition, competitors have as their second round of the championship in June at the high profile Road to Le Mans event, the curtain-raiser to the main event – the Le Mans 24 Hours. 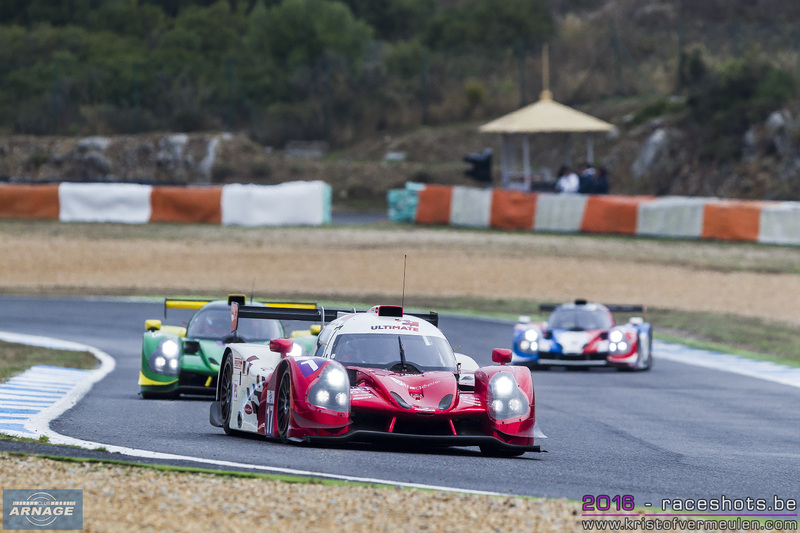 The three categories of competition in the European Le Mans Series, LMP2, LMP3 and LMGTE, will remain, but the addition of the new arena for LMP3 offers more flexibility in terms of calendars, budgets and levels of competition for teams and drivers. No big changes to the 2017 sporting regulations are expected, and these regulations will be available soon. 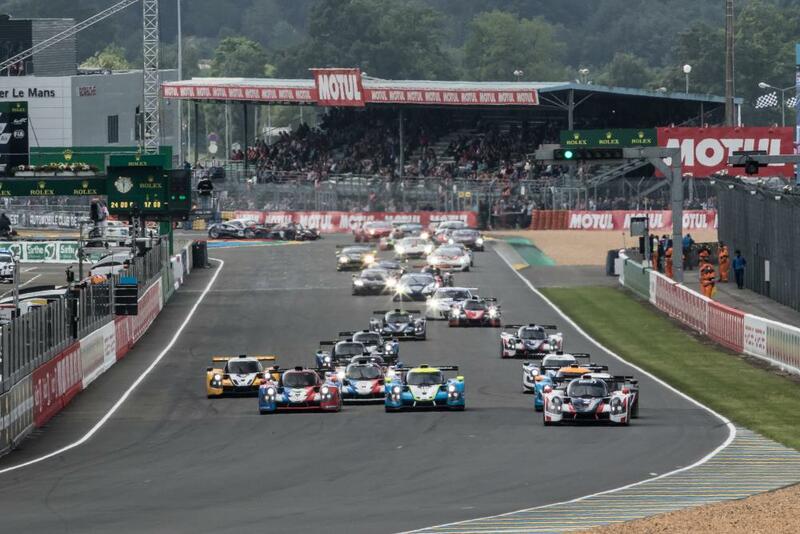 The prize money will of course be maintained for the two categories GT3 and LMP3. 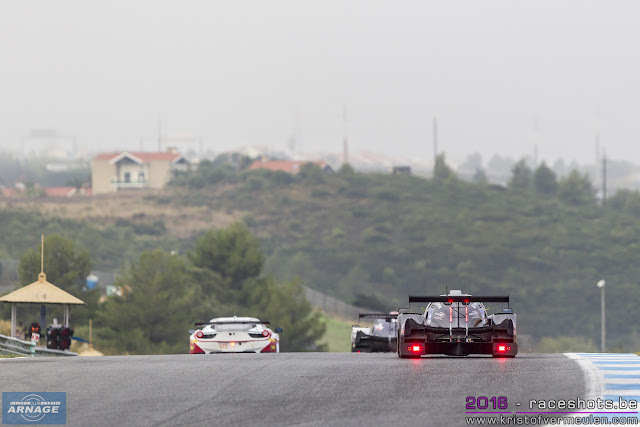 At the end of the season, the first LMP3 cars in the Michelin Le Mans Cup will receive an invitation to join the European Le Mans Series the following season, while the lowest placed LMP3 cars in the ELMS classification will be transferred to the Michelin Le Mans Cup. Gérard Neveu, CEO of the European Le Mans Series and Michelin GT3 Le Mans Cup added: “In Europe there is a growing demand for LMP3 cars and we have recognised this by extending the options for entrants and providing the perfect stage for them on which to compete. 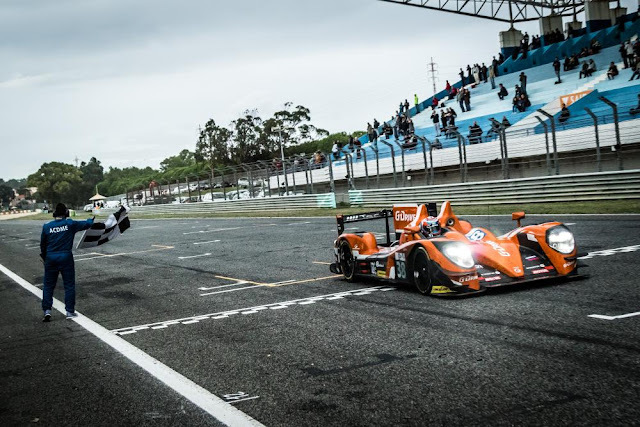 We should not forget that this prototype category was created and developed by the ACO and it is the first step on this fantastic adventure that is endurance racing. 2017 promises to be even better, but first we must celebrate the end of the 2016 season! 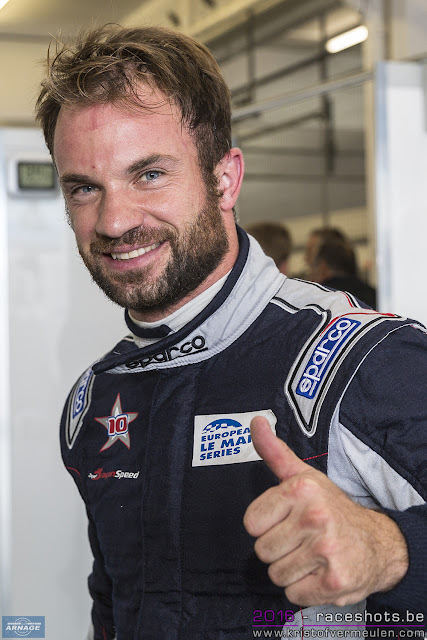 Nicolas Lapierre scored the third pole position this season for the Dragonspeed team in his #21 Oreca 05/Nissan. With a drying track in the final qualifying session of the day, Lapierre set his fastest lap at the very end of the 10 minute session. Early in the session, Dimiti Enjalbert in the #28 IDEC Sport Ligier set - quite surprisingly - the fastest time ahead of Paul Loup Chatin in the #23 Panis-Barthez Ligier. Chatin then took the lead, staying on top of the leaderboard until the dying moments of the session. In a frantic final minute, the whole starting order had been shaken up several times. 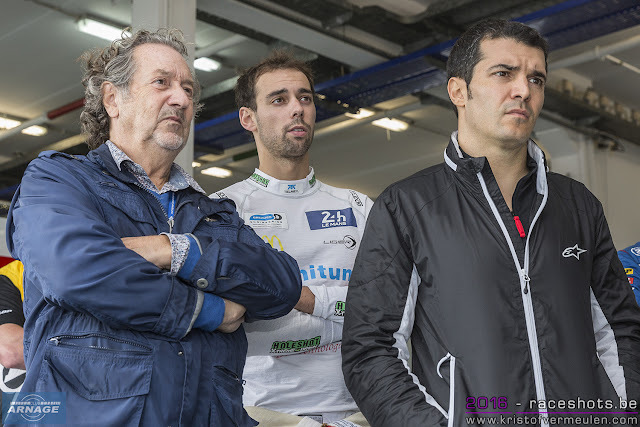 Chatin was the first driver to improve his time on the drying track, but soon was beaten by Olivier Pla in the #40 Krohn Racing Ligier. Chatin reacted and took provisional pole again, now with Van der Garde moving up into second in his #38 G-Drive Gibson. In his final charging lap, Lapierre put in a 1.44.146, beating Chatin with 0.407 seconds who wasn't able to improve his time once more. 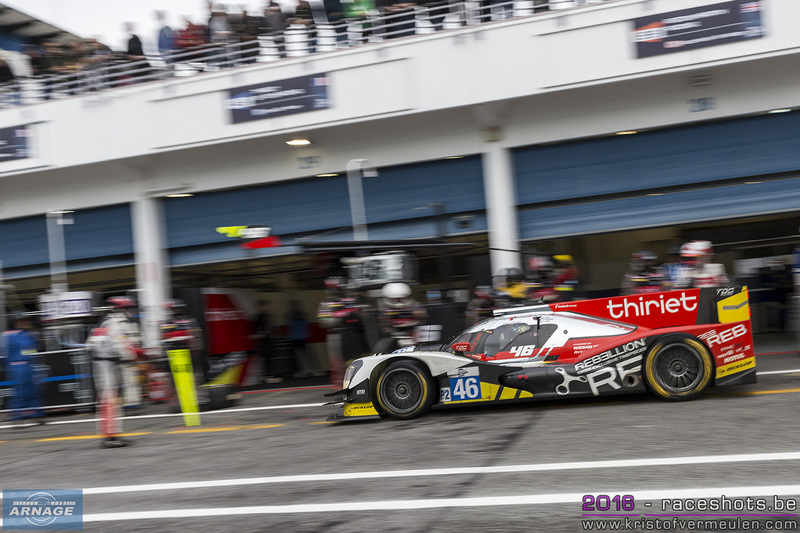 Mathias Beche in the championship leading #46 Thiriet by TDS Oreca never got into the battle for pole. Beche went off track in his opening lap and only managed to set the seventh fastest time at then end of the session. In LMP3 the sixth race of the season gave us the sixth different car on pole position. 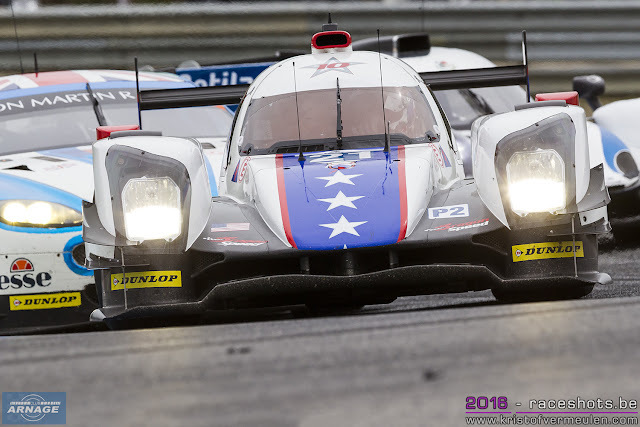 United Autosports took the first two places on the grid. 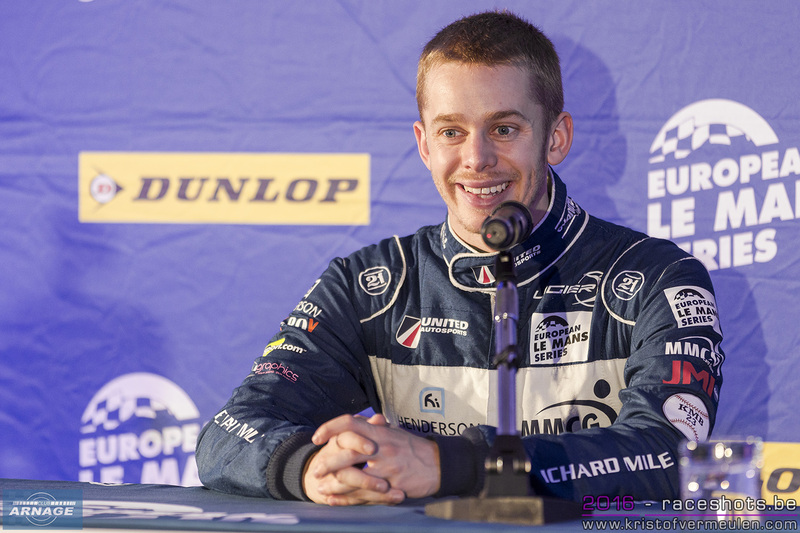 Alex Brundle was fastest in class, scoring the first pole position for the #2 championship winning car in 1:50.355. Wayne Boyd set the #3 sister car on second place, 0186 seconds behind Brundle. Third fastest was Dino Lunardi in the #19 Duqueine Engineering, just edging out Antonin Borga in the second Duqueine Ligier (#20). The GTE class were the first out for their qualifying session today and had to cope with a (very) wet track. 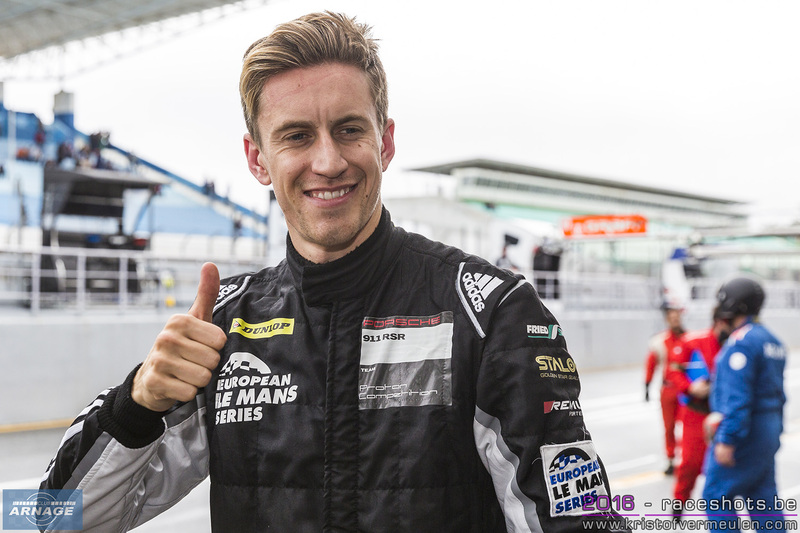 Ben Barker impressed in the #88 Proton Competition Porsche, claiming the teams second pole position of the season and the first pole for Ben Barker. 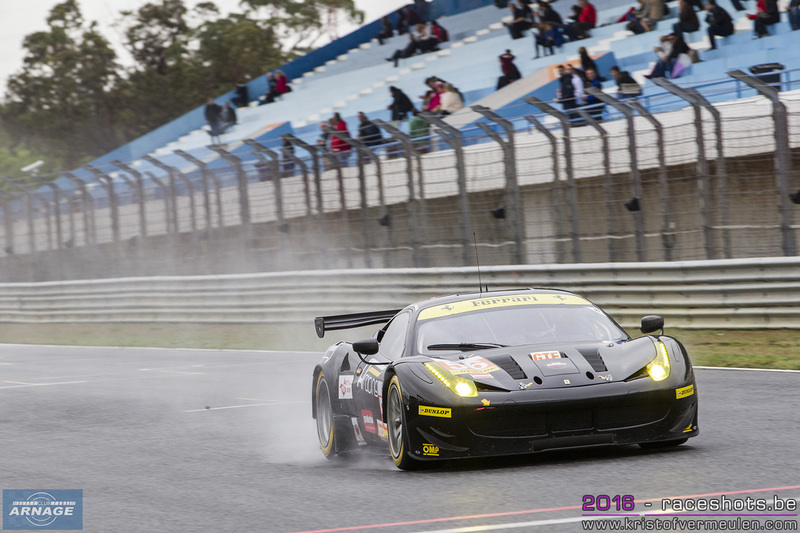 Behind the Englishman who took pole with a time of 1:54.754, Alessandro Pier Guidi fought himself into second in the #56 AT Racing Ferrari, giving in 0.337 seconds to Barker. Third fastest was Marco Cioci in the #51 AF Corse Ferrari, only 0.068 seconds behind Pier Guidi. The second free practice this morning saw all kinds of weather. Starting on a damp track while the morning fog was still hanging down, over bright sunshine to rain in the dying minutes of the session. The damp track proved to be tricky with lots of spins during the session. The championship leading #46 Thiriet Oreca05 was one of the first victims early in the session, hitting the barrier with some damage on the front bodywork of the car. 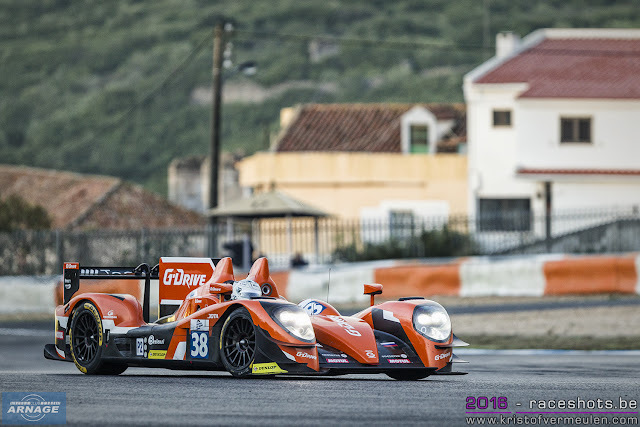 Frederic Vervisch in the #33 Eurasia was not so lucky when he went off and into the barriers in turn 7, suffering damage to the front and back of the Oreca. The car had to be towed out and away, causing a brief full course yellow. Jota Sport set the pace early on with Harry Tincknell going fastest, followed by Giedo van der Garde who improved his teammate's time. After the full course yellow the track quickly dried out and laptimes started falling down. 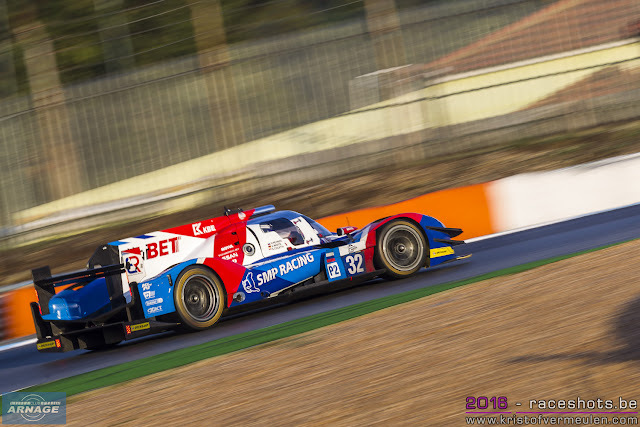 Lapierre was flying and drove a 1:35.671 in the #21 Dragonspeed Oreca, no less than 0.670 seconds faster than Giedo van der Garde in the #38 G-Drive Nissan. Third fastest was the #41 Greaves Ligier driven by Julien Canal, just under a second slower than van der Garde. 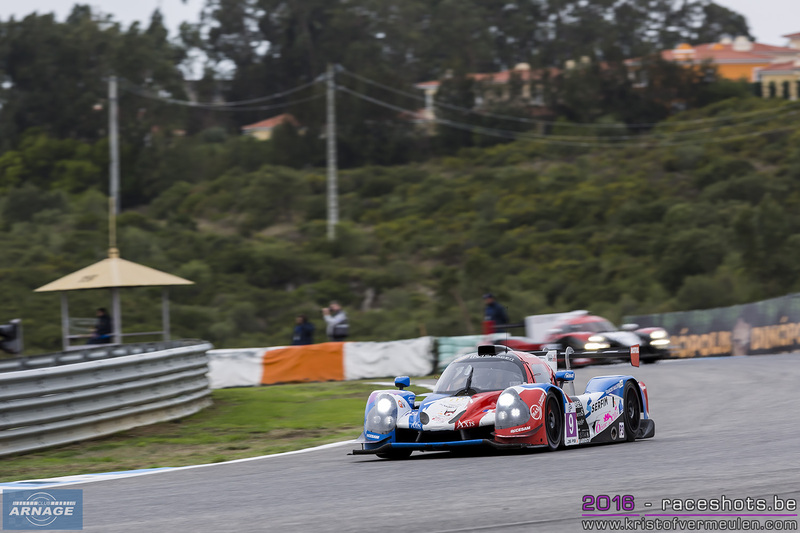 Rain started to fall down in the final 10 minutes of the session, leaving the Dragonspeed Oreca on top. 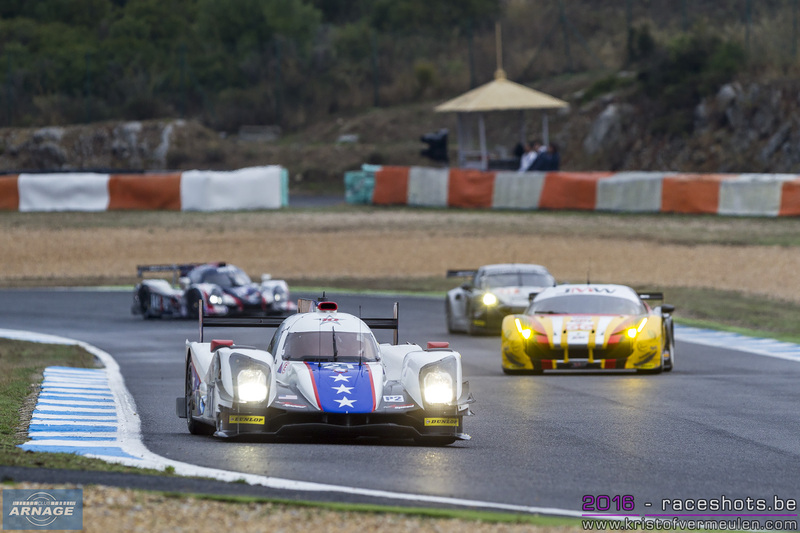 In LMP3 both United Autosport Ligiers were fastest after 90 minutes. 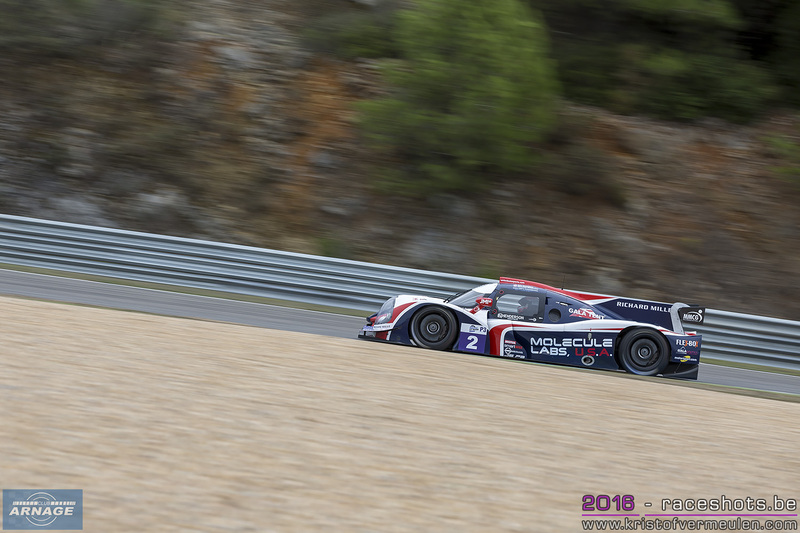 Wayne Boyd quickest in the #3 with a 1.40.753, over 2 seconds ahead of Alex Brundle in the #2 Ligier. 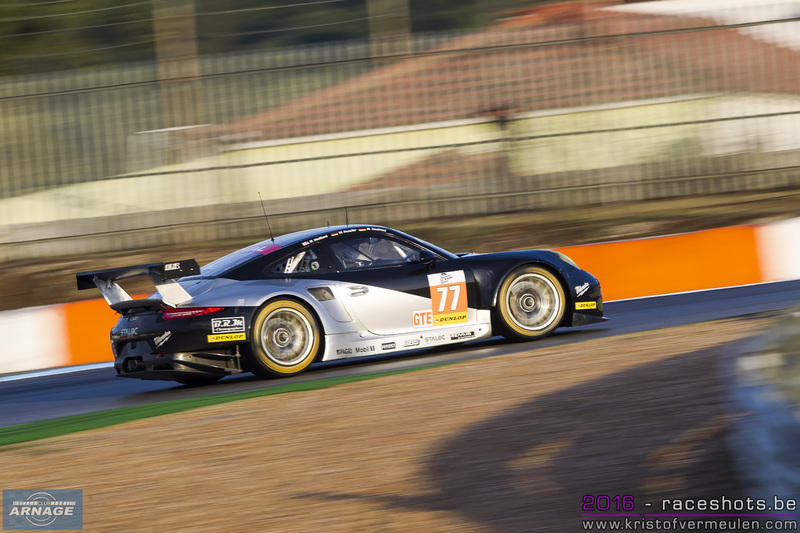 Matthieu Lahaye put the #17 Ultimate on third place, just under half a second behind Brundle. 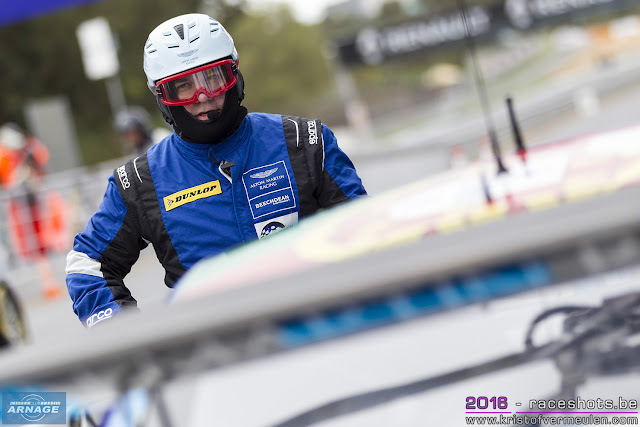 Yann Erlacher was fastest on track at the beginning of the session in the #18 M. Racing - YMR but fell down the order as track conditions improved. 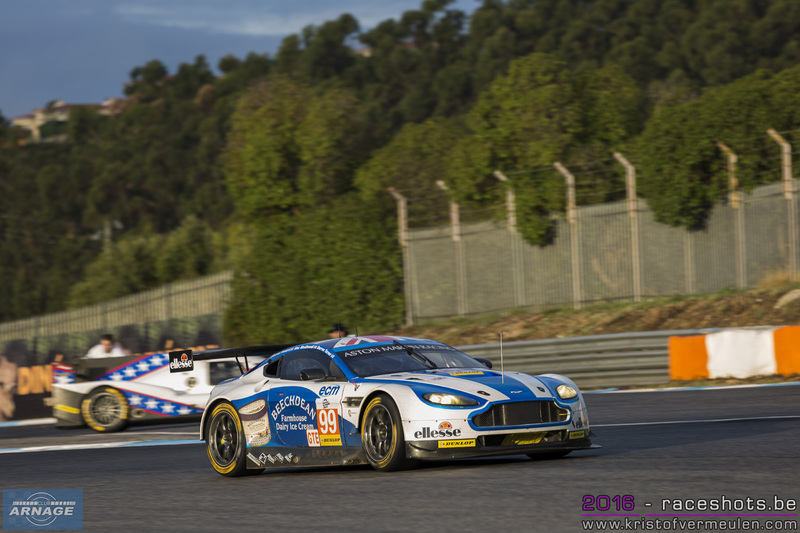 GTE was a tight battle again with several cars fighting for the top spot on the leaderboard. The best times were set just before the rain fell at the end of the session. Marco Cioci drove a 1.45.976 in his #51 Ferrari, 0.356 seconds faster than Darren Turner in the #99 Beachdean Aston Martin. The championship leading JMW Ferrari only came out late in the session, Andrea Bertolini just 0.010 seconds behind third fastest Mikkel Mac in the #60 Formula Racing Ferrari F458 Italia. The green flag for the final ELMS race of 2016 will be waived at 13.30h local time. The race will be streamed live on the ELMS website and can be seen at MotorsTV.